I was where you are at one time. I taught myself how to string beads. I made a thousand beaded necklaces to match every single outfit I own, plus every outfit of all my family members and friends. Every single gift was beaded jewelry. Beaded sets of necklaces, bracelets and (if I’m honest) poorly made dangle earrings. And I got bored. I didn’t really know how to do anything but string. I mastered it. I killed it. I was bored. Then I picked up some wire. I was worried about using it. Surely I would mess it up. I couldn’t even be creative because I didn’t even know what I could make. I was afraid to mess up my precious wire because I didn’t know what I was doing. I was overwhelmed and, well, still bored with stringing necklaces and bracelets. Then I did it! I figured it out. I found some cheap wire and started playing with it and I figured it out! Look, I know it doesn’t look simple or easy to wire wrap. But Wire Wrapping For Beginners takes you step-by-step through 23 projects. I assumed you knew nothing when you started the eBook, so I teach you everything you need to know. Before long, you’ll be making wire wrapped jewelry like no one’s business! Oh, and those crimp beads that fail or wire that breaks? Don’t worry about that anymore! Wire jewelry is much sturdier. Seriously, you’re ready and I’m here to support you! P.S. 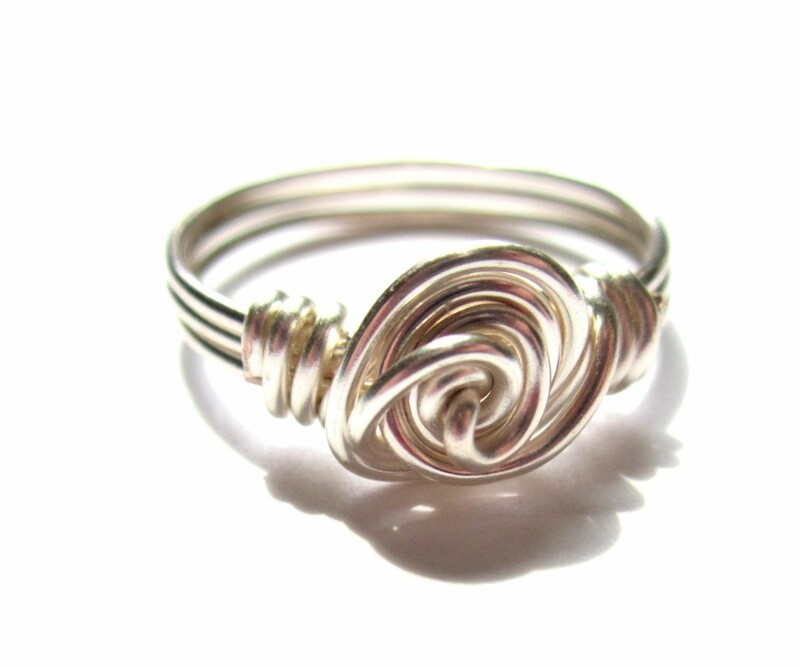 Ready to take the first step toward learning wire wrapping? Check out my Simple Bead Dangle Earring Video Tutorial to start. This entry was posted in Wire Wrapping and tagged beginner, design, emerging creatively, jewelry making, kimberlie Kohler, learn more, tutorials, wire wrapping, wire wrapping for beginners by Kimberlie. Bookmark the permalink.